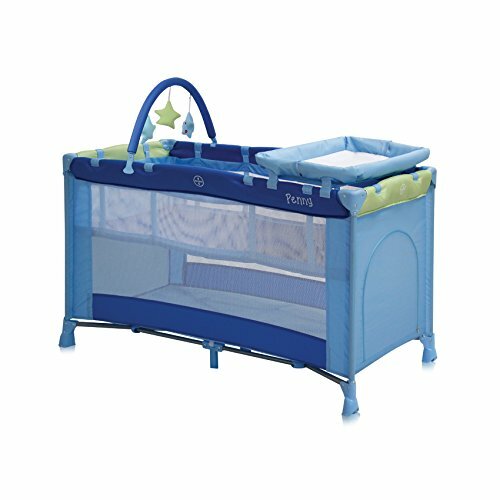 Folding playpen Penny 2 Layers Plus Design is for ages 0-6 months, cushion and carrying case. It occupies minimal space when folded and is ideal for traveling and traveling. For Rest & Play. Diaper changing mat included. Mattress included. Side opening with zipper. Toybar. 2 layers: for rest & play. Foldable to compact size. Wheels for easy moving. Double security folding system. Easy for transportation.